They are very trustworthy and honest. They tell you what is actually happening and what it's going to cost to fix your car. I like the waiting room. I like Yann. I like the fact that there are dogs there. It's a nice place to wait while your car is being worked on. My husband, who knows more about cars than I do, is very happy with the work they've done for us. I've been using them for 25 years. I am very satisfied. They know what they're doing. I have never had any concern about their expertise. They have a very personalized service, which is hard to find. They are very conscientious, considerate, accommodating, and reliable. They're very honest. Yann is excellent in everything that he does. I know that they will fix my issues the first time around. I completely trust their work and know that I'm getting the best possible work performed on my car. 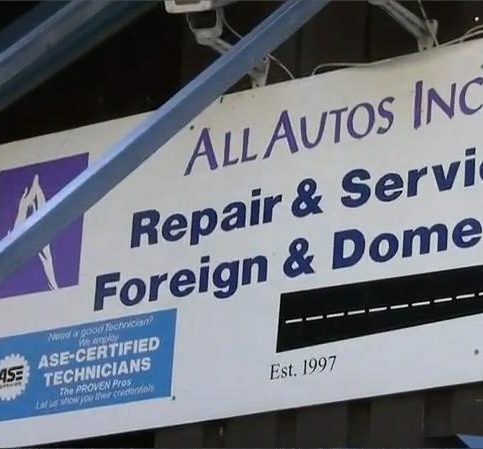 All Autos, Inc. is a full-service auto repair and maintenance shop in Fairfax and Ross. The company provides tune-ups and alignments for all makes and models, and it uses the latest equipment and technology to work on brakes, electrical systems, transmissions, starters, tire alignments, charging systems, engines, and suspensions. 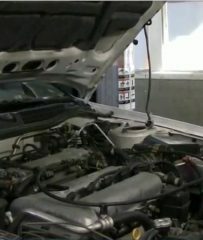 It’s also a California-licensed Smog Check station, and it provides free safety inspections with each oil change. Owner Yann d’Argencé has been fixing cars since 1983. He founded All Autos with the goal of providing honest, straightforward repair work. “Honesty has been our way of doing business from the beginning,” he confirms. Mr. d’Argencé and his team have seen their approach translate to a wide clientele base, including the Fairfax and Ross police fleets and customers from as far away as Oakland. DIAMOND CERTIFIED RESEARCHED CAPABILITIES ON All Autos, Inc.
Company Name: All Autos, Inc.
DIAMOND CERTIFIED RESEARCHED ARTICLES ON All Autos, Inc.
"Providing honest work is our number one priority. We tell our customers exactly what's wrong with their cars and what's required to remedy the problems–nothing more, nothing less. 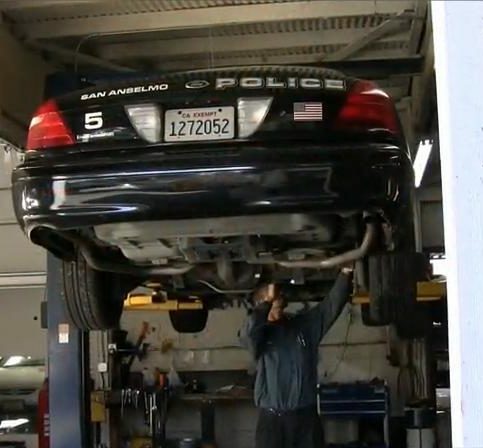 We're absolutely dedicated to fixing vehicles correctly and safely the first time." 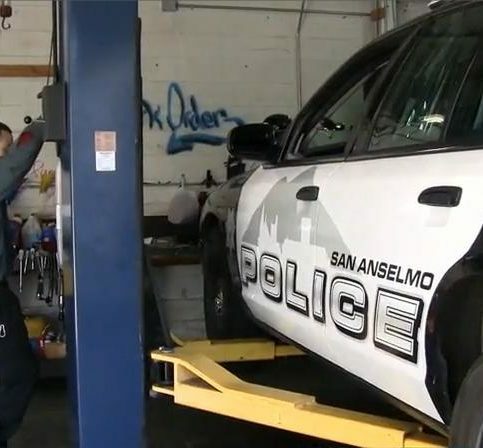 For San Anselmo’s All Autos, Inc., honesty comes first. “It’s been our motto and way of doing business from the beginning, and we stand behind our work,” says owner Yann d’Argencé. The company prides itself on being straightforward and truthful with its customers. For example, says Mr. d’Argencé, if a client brings their car in for a second opinion, All Autos’ technicians test-drive it, put it up on a rack and carefully diagnose it to eliminate the cost of an unnecessary repair. Mr. d’Argencé says All Autos’ professionals truly care about their customers. “We work with them to get their cars fixed and solve their problems,” he says. This approach includes never compromising safety for any reason. Your car’s oil and lubrication system: The motor oil is key to keeping your engine running smoothly. Checking and changing it on a regular basis is important to getting the most miles out of it. The oil lubricates the engine’s internal moving parts, keeping them from wearing too quickly. It also keeps the engine clean by preventing dirt buildup, and also helps keep it from overheating. Changing your car’s oil every 3000 to 5000 miles is good preventive maintenance. Other types of common maintenance involve making sure that you keep brake fluid, transmission fluid and radiator fluid levels at reasonably high levels so that these areas of your car function properly. Also, regularly changing out air filters will help protect your car’s engine from dirt and contaminants as well. To maintain strong compression in your vehicle and to sustain high levels of performance, occasionally changing out sparkplugs or taking your vehicle in for its scheduled tune-up will help prevent potential engine problems. Master Cylinder: Where the brake fluid is stored for all of the four-wheel calipers or cylinders. If this component is leaking, it requires an immediate repair because you will lose (and not regain) brake pressure. Wheel Cylinders: These are housed in the wheel assembly of each wheel and store brake fluid used for hydraulic pressure. Brake Lining: This is a basic maintenance job that usually just involves replacing the brake shoes of a car’s rear brakes. It could require new drums if there is metal on metal contact. Brake Pads or Calipers: For front brakes, brake pads and calipers put pressure on the rotors to stop the car. Brake pads are a routine replacement item, while calipers should last much longer. The pistons inside the calipers might need cleaning in some cases. As you can see, there are many areas in which brakes need repair. If you keep on top of the basic repairs by listening for screeching or grinding, you shouldn’t have to make major repairs very often. 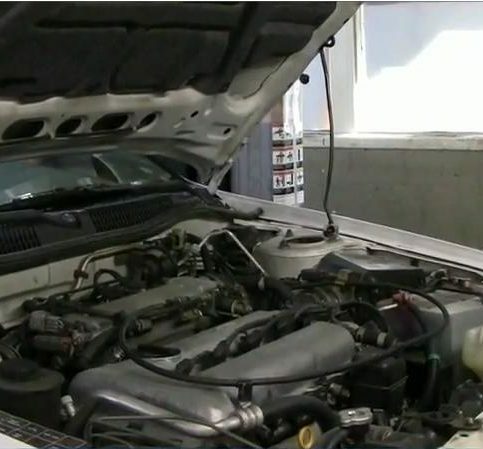 For older or neglected vehicles, however, a more expensive fix might be in order. The water pump: A mechanical pump that circulates the engine coolant/anti-freeze through the radiator and back to the engine. The thermostat: A temperature-sensitive device in the cooling system that opens and closes according to engine temperature to regulate the flow of coolant/anti-freeze through the radiator and back to the engine. This allows for the engine to be run at specific temperatures to optimize the performance and emissions levels of the vehicle. The radiator: A “finned” box mounted at the front of the vehicle that the coolant is forced through so air can pass across it and cool the anti-freeze/coolant. The cooling fan: Located directly behind the radiator, whether the vehicle is front or rear wheel drive. Its job is to pull air through the radiator at lower vehicle speeds to keep it from overheating. Cooling fans can either be mechanical (belt driven on the engine) or electric (mounted on the radiator, temperature controlled). Drive belts/hoses: All of the antifreeze/coolant in your vehicle is pumped through several hoses. Maintaining them is crucial to preventing serious engine damage from overheating. Visually inspect the hoses for leakage, cracks or abrasions and the general integrity of the hose. Replace any that are questionable. The drive belt/belts should be inspected regularly as well. Always follow the manufacturers recommendations on how often and which particular anti-freeze/coolant to use. For more extreme conditions it’s a good idea to check and service this system more frequently. The air filter and air cleaner system: This special paper element helps filter dirt, dust and other foreign particles from the air stream going into the engine. Replace the filter if clogged or after one year of use. Also, clean the air filter housing of dust and debris using a clean shop rag. The Positive Crankcase Ventilation (PCV) system: This system redirects blowby gases in the crankcase into the intake manifold to reduce air pollution and sludge buildup in the engine. Check the PCV valve and look for clogged, broken or missing hoses. The Evaporative Emissions Control (EVAP) system: The EVAP prevents toxic fuel system vapor from going into the atmosphere. For the most part, this system requires very little maintenance, but you should inspect hoses, fittings and canister for possible damage. On some vehicle models, the canister is equipped with a filter that can be replaced if black or clogged. The Exhaust Gas Recirculation (EGR) system: This system reduces NOx emissions produced during the combustion process when very high temperatures exist. The EGR allows exhaust gases to enter the intake system to reduce combustion temperature. Look for vacuum hoses damage, valve operation, restricted pipe and passages. The Air Injection System (if your particular vehicle model is equipped with it): This system injects fresh air into the exhaust ports or catalytic converter to help consume unburned, or partially burned fuel, reducing HC and CO. Inspect for damaged hoses, lines, check valves and belt tension. Some air injection systems use a pump inlet filter that can be replaced if necessary. The catalytic converter and connecting pipes: The converter does not require maintenance, but exhaust pipes and connectors leading to the converter should be checked for leaks. If the catalytic converter in your vehicle has been in operation for 5 or more years, have it inspected to make sure it’s still in good shape and not blocked. A clogged converter reduces engine power and causes overheating. Q: Do you do body work? A: No, that’s the only thing we don’t do. Q: Why do car parts break? A: Just like everything else, it’s inevitable for parts to wear out. But with proper maintenance, we can help you keep your car in top running order for as long as possible. Q: My “check engine” light keeps coming on. Does that mean there’s something wrong with the engine? A: No. Often, it has nothing to do with servicing the engine or checking fluids. The light comes on when the engine’s computer detects an incorrect input from one of its sensors or an output from one of its switches and stores a fault code. To perform the necessary diagnostics, we plug into the Assembly Line Diagnostic Link, pull the code with our scan tool, go to the diagnostic chart, and pick the proper troubleshooting procedure that’s associated with the code. It’s usually an emission, ignition or air/fuel related problem. A: Absolutely. We stand behind our work 100 percent and offer an unconditional guarantee for 12,000 miles or one year, whichever comes first. It’s our commitment to make sure your car is fixed correctly. SELECTED PHOTOS FROM All Autos, Inc.
All Autos has the expertise to work on both domestic and foreign cars. All Autos regularly services Ross Police Department’s vehicles. All Autos handles regular maintenance as well as repairs. All Autos is prominently located on Sir Francis Drake Boulevard in San Anselmo. Teamwork helps All Autos quickly diagnose and fix problems so customers can get back on the road. Yann d’Argence is a 30-year veteran of the auto repair industry and owner of All Autos, Inc., a Diamond Certified company since 2003. He can be reached at (415) 493-8926 or by email. A lifetime resident of Marin County, Yann spends the bulk of his free time outdoors. “I’m an avid mountain biker, and I also enjoy water skiing, snow skiing and range shooting.” Additionally, Yann likes hanging out with his son, Max, who works as a technician at All Autos, and his daughter, Alexa, who works as an interior designer. A: A Fiat 128 sedan—the one I had to fix when I was 15. A: One of the new Teslas. They’re fast, they look great and they’re basically maintenance-free. A: Standing up for the underdog. I was pretty much full-grown by the time I was 15, so I would protect the geeks from the bullies in exchange for help with my homework. It got me through high school! A: ’60s and ’70s rock. A: The past. I’d love to go back to the turn of the 20th century, when cars were first being built. The “check engine” light may be the most commonly known dashboard warning light, but it’s also the most misunderstood, and for good reason: Not only can any number of issues cause it to come on, it can also signify anything from a minor issue to a major emergency. The most important thing to know about your “check engine” light is how to tell the difference between a minor concern and a major one. Fortunately, this is easy to do. If the light stays on steady, the issue isn’t an emergency; you can continue to drive your vehicle until you get a chance to bring it to a repair shop. If, on the other hand, the light is blinking, this indicates an immediate concern, whether a threat to safety or imminent engine damage. In this case, you need to pull over right away, turn off your vehicle and call for a tow to an auto repair facility. Another aspect of the “check engine” light that confuses vehicle owners is the fact that a multitude of factors can cause it to come on—in some cases, several at once. That’s why it’s important to work with a professional auto technician who has the tools and problem-solving skills to get to the bottom of things. When multiple codes have been triggered, the instigating issue can be masked by others, which is why technicians often have to rely on instinct to uncover it. However, even after your technician returns your car, there’s always a chance the light may come on again. This is a common byproduct of the computer age of automotive, so don’t be discouraged or upset—just work with your technician to solve the issue as efficiently as possible. SAN ANSELMO — Host, Sarah Rutan: If you’re unsure what the “check engine” light on your car’s dashboard means, you should take some time to get acquainted with this critical feature. Today we’re in San Anselmo with Diamond Certified Expert Contributor Yann d’Argence of All Autos to learn more. Diamond Certified Expert Contributor, Yann d’Argence: The most misconstrued icon on the instrument panel is what is commonly known as the “check engine” light. Overall, this is an indicator of a computer malfunction, and it can be either emission-related, in which case there will be no symptoms, or it could be ignition- or fuel-related, in which case there are symptoms, where you will feel a drivability problem with the vehicle: loss of power, intermittent stalling, rough idle, hard starting – that sort of thing. But if the light comes on and stays on steady, and there are no symptoms, there is no cause for alarm. Your owner’s manual will tell you to take it to your nearest dealership, but that is not absolutely necessary, because most reputable auto shops would have some sort of device like this, called a scan-tool. There are different high-end ones available; this one happens to be sort of a higher-end one, and it will tell you what the code malfunction was stored. In this case, we have a mass airflow sensor problem with the vehicle, which would definitely cause symptoms. So in the case of no symptoms, then the vehicle can still be driven safely, until you can bring the vehicle to a local auto shop such as ours. Diamond Certified RATINGS ON All Autos, Inc.
All Autos, Inc. : Average 9.5 out of 10 based on 430 unique customer surveys of customer satisfaction. I would tell them that he is trustworthy, and he has helped us with our cars for over 30 years. I absolutely trust him. He is wonderful. First of all, he is very, very knowledgeable. He is a wonderful mechanic. Secondly, I trust him, as he will tell you exactly what needs to be done. His prices are fair. They have the customer's best interests in mind, and they are willing to do what they can do to save the customer a buck, but also make sure it is the best thing to do. My mom has been going there for years. He is of French decent, and it was cool hearing his story about how he came to Marin, all of that good stuff. I have been using them for almost 25-30 years, and I have never had any problems. They are very reliable. Just really fast and efficient service, I get my money's worth. On multiple occasions, Yann has given us advice about what to do with our cars, whether it involved him repairing it or not. He gave us advice on when to get rid of our last car, as opposed to repairing it. He gave us suggestions about what kind of car to buy. He also helped us turn in another car to the state of California for their rebate program, which was to our benefit rather than his. I think he is totally trustworthy, and he knows what he is doing. He is an excellent mechanic and a good person. Very nice shop, and they are very straightforward. They tell you the problems upfront. They are honest about their work, and they told me what was wrong with it. They are reliable, and they always get the work done that needs to be done. They will always accommodate my schedule. They were very good, and they didn't try to sell me anything extra. He even talked me out of getting extra stuff. They are very reliable and quick. I was able to get direct advice about cars, like which to purchase. I feel like I have been able to establish trust with them. I recommend them to people all of the time. Yann is friendly and efficient. Oftentimes, he helps me to better understand what is going on with my car and navigate a decision that is both in alignment with my budget and what is best for the car itself. He will tell me that I have a few months left on my brakes if I am short on cash. I recommend people to Yann all the time. They are fair and that says everything. They are really friendly and trustworthy and what they tell you that you need is what you actually need. My car got fixed in a timely fashion, and it always runs well afterwards. They are fair, conscientious, and they take the time to explain if you have any questions. They are very thorough. In the past, I have been to auto shops that were not reputable, and they would take advantage. I always felt that dealing with Yann and his crew that it was about keeping it fair. He follows-up on everything. Don't hesitate to ask him questions. I called him from the road, and he was just wonderful. He treats cutomers on an individual basis. They got the job done, and they were timely and courteous. They just get it done. Yann is fair and honest. He always answers questions without rushing to charge you a bunch of money. They are honest, fairly priced, and they do high quality work. They are available on short notice, and they are accommodating. They work quickly, and they explain exactly what they are going to do.